Nestled on a rare, large lot in 78704’s sought-after Travis Heights neighborhood, this stunning Gothic Revival-inspired home designed by Spaller Glover is certain to stop you in your tracks. 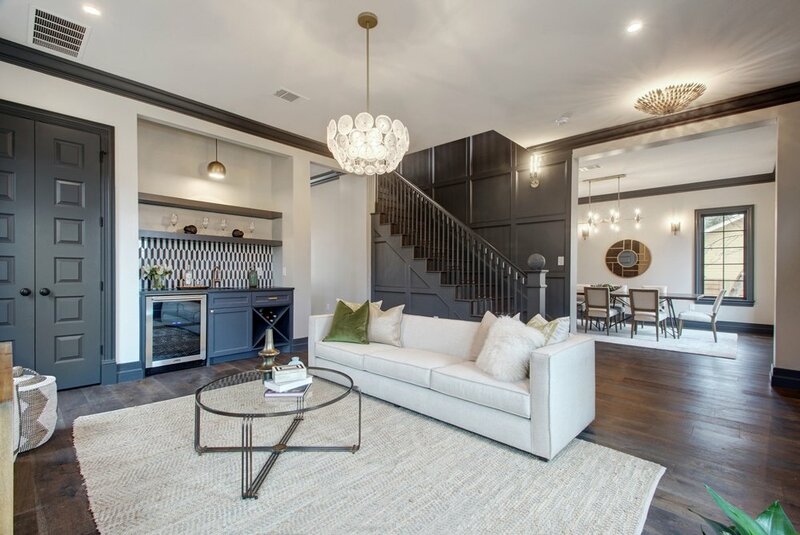 From the dramatic curb appeal to the high ceilings and oak wide plank floors accentuating spacious light-flooded rooms, it is quickly evident that attention to functionality and high-design was applied to every single detail. Custom features of this 3 bedroom, 2.5 bathroom home include sparkling Carrera marble countertops, a Bertazzoni dual fuel stove, Fischer Paykel refrigerator, built-in appliances, and custom trim, paneling and cabinetry throughout. Instantly feel at home and entertain with ease in the formal and informal living spaces, which include an expansive kitchen and wet bar, large dining room, office space, and a reading nook. The brilliant detail continues to an expansive backyard where you’ll find lush landscaping, freshly paved alley access complete with a privacy gate, and the unequalled addition of flex space above an oversized 2-car garage. Want more information on 1107 Woodland Ave? Fill out the form below and I will be happy to assist you. Thank you for your interest in 1107 Woodland Ave. I will contact you shortly.